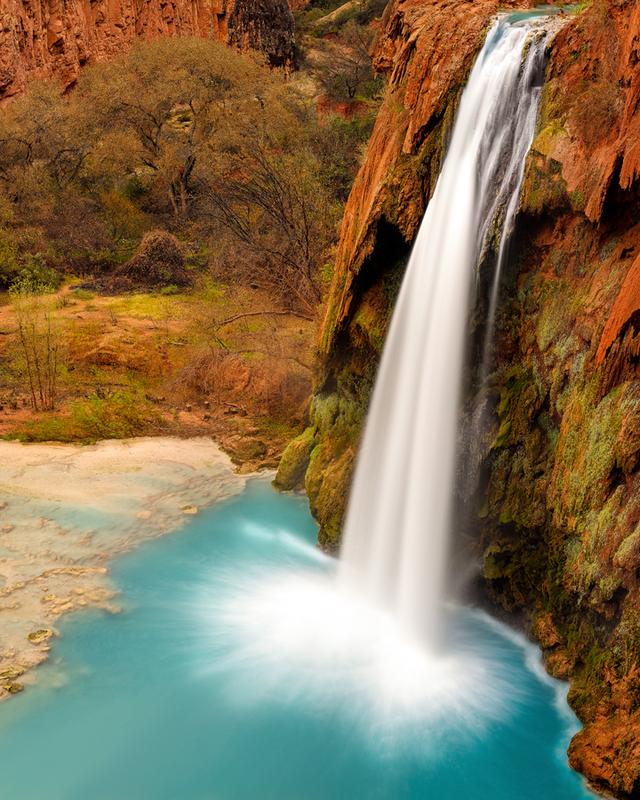 Havasu Falls, which stands nearly 100 feet tall, has undergone a lot of change since the 2008 flood roared through Supai, Arizona. Prior to the 2008 flood, the waterfall had two chutes. Now, there is just one. Where there used to be a plethora of travertine terraces below, there are few. But one thing remains the same: the turquoise water at the bottom of the waterfall, which is caused by the high levels of limestone in the water, is still a show stopper. Meanwhile, I couldn’t ask for better conditions to shoot in. It had been raining during the days leading up to my visit and it was raining (lightly) when I captured this image. Everything was highly saturated, making the colors pop even more.